Another superb piece of preparation perfectly executed by Andy Cowap. This stunning 'woodstone'from the Andy Cowap collection has been signed and dated by Andy. 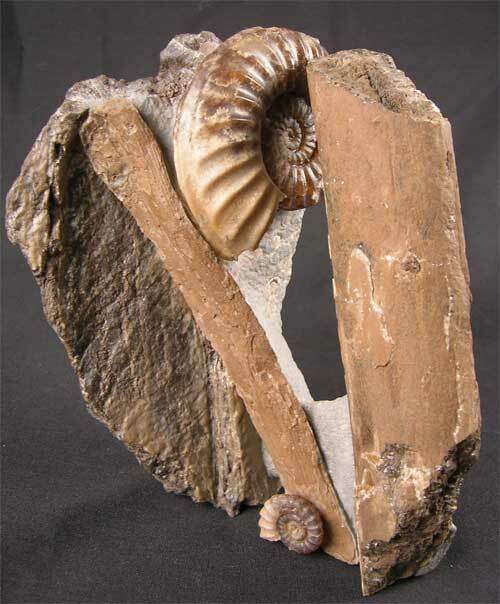 This amazing display fossil shows fossil branches and driftwood from the ancient Monkey Puzzle Tree with a beautiful calcite ammonite washed in between them, also a small ammonite Promicroceras planicosta (20mm) washed up against a branch. 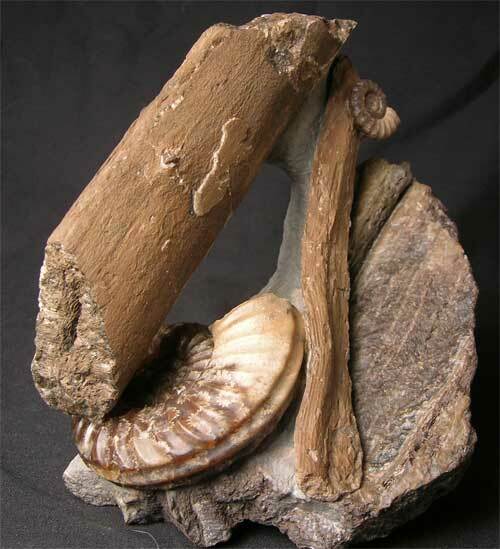 These awesome woodstone assemblages are Andy Cowap's trademark fossils and are highly sought after world wide. 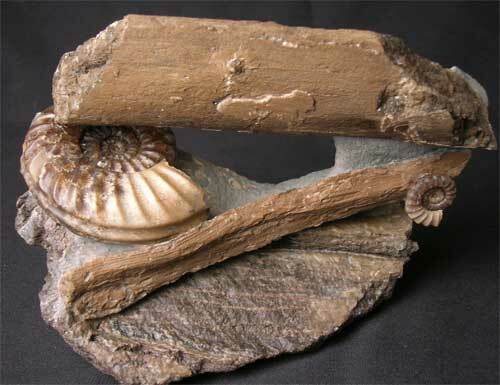 Many, many hours of painstaking preparation has gone into this wonderful and rare fossil. 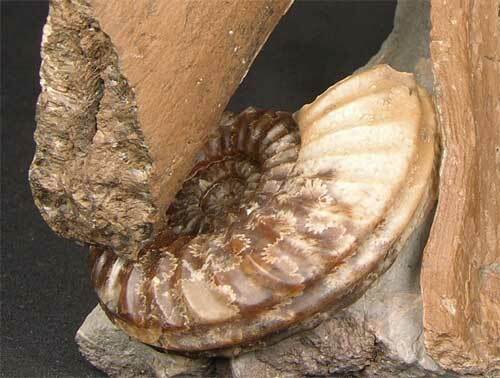 Approximately 200 million years old.